But does the union also pass by Blacks when it comes to writing in Hollywood? 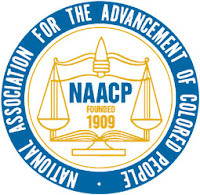 The Writers Guild of America (WGA) will not picket the NAACP Image Awards (Nominees) at the Shrine Auditorium in Los Angeles on Feb 14 (8-10 pm on Fox) because of, according to WGA West President Patric Verrone, "the historic role the NAACP has played in struggles like ours. We think this decision is appropriate to jointly achieve our goals." Really? Has the WGA been helpful in getting more work for Black writers in Hollywood? And the WGA nemesis, the Alliance of Motion Picture and Television Producers (AMPTP), probably doesn't have a good reputation for recruiting and retaining Black writers either. Oh? You're tired of hearing us whine? Well we're sick of the sickness that leads to our whining. The WGA has about 12,000 members. How many of those members are African American? Although Hollywood has opened up some in the past ten years, the history of African American participation has been pitiful on and off the screen. This must include writers. Does anyone out there have stats on the number of Black writers in the WGA? Blacks know that we are aggressively excluded in most sectors of American society, even in the 21st century, but if the numbers for the WGA are below 5% then Blacks should say to hell with the WGA and go get writing jobs. Help break the union if they have been not been supportive of Black writers. Support them aggressively if they have been helpful.